I was really struck at how hard it can be to maintain relations between neighboring countries—no matter where they are in the world—during my time working as a newspaper correspondent based in Singapore. Whenever the relationship between Singapore and Malaysia took a dark turn, the problem of water would inevitably emerge, with Malaysia threatening Singapore with a cutoff to its water supply. Japanese corporations, viewing that standoff, would attempt to benefit from the situation by selling Singapore desalination technology. The water would be drawn, literally, only after tensions relieved. The controversy between South Korea and Japan over the registration of the “Sites of Japan’s Meiji Industrial Revolution” with UNESCO (The United Nations Educational, Scientific and Cultural Organization) as World Heritage sites is more serious, therefore South Korean President Park Geun-hye made a point of going on a “pilgrimage” around the world in opposition to the plan. An agreement was supposed to have finally been reached between the foreign ministers of the two countries soon before the determination of the registration, but even that was almost thrown out the window, making the Japanese public gape in disbelief. 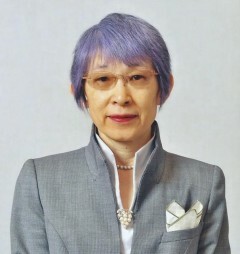 It would have been better for Japan to have made better preparations, speculating on all the possible scenarios that might arise and spending more time on firmly positioning the relics of the country’s industrial revolution within the context of the history between itself and South Korea, as that would have let it be more fully make rebuttals to South Korea based on the facts. If it had done so, the impression Japan left on ICOMOS would have been different, even if South Korea had never been forced to reconsider the matter. The cardinal rule of negotiations is to enter into them having first envisaged the worst that could happen. Japan, however, acting as a “Mr. Nice Guy,” tends to place too high hopes on the goodwill and sincerity of the other side. International conferences are not entirely made up of countries that make it a principle to be “fair,” as Japan seems to think. It just so happens that this year marks a half century since diplomatic relations between South Korea and Japan were normalized. Although there are other countries with which Japan has maintained ties for a longer period of time, a notable point about the relationship between South Korea and Japan is the speed at which the two sides have drawn closer. Fifty years ago, only 10,000 people made their way between the two countries, but that number has now grown to some five million, illustrating how close the two have grown toward each other. Still, questions have arisen whether such closeness will actually persist into the future. If anything, there are indications of a possible return to the old days of “near, but far” relations. In particular, a kind of “fatigue toward South Korea” has become more prominent in Japan, as seen in the row over the World Heritage sites. If it were possible for the Japanese archipelago to pick itself up and move elsewhere in the world, that might be a good thing, but the truth is that South Korea will eternally be Japan’s neighbor. Accordingly, both South Korea and Japan, in the era following the first half century of normalized relations, must put aside their heightened emotions toward each other and place more emphasis on developing a not-so-hot-headed relationship, cooperating in areas where it is possible to do so. While it may sound overly matter-of-fact to talk about the practical benefits [of a relationship]—that is, whether things are being “gained” or “lost”—it wouldn’t be such a bad judgment call to choose the “plus” side as long as it benefits the public. Last year, when the passenger ferry MV Sewol sank off the Korean coast, carrying along with it hundreds of high school students, among other victims, South Korea ignored an offer of assistance extended by the Japanese government. Although the coast guards of the two countries had jointly been carrying out training before then, carrying out exercises assuming various types of maritime accidents, their inability to use that experience during the ship accident was a waste. In that respect, the fields of energy in general and nuclear power represent particularly effective areas in which South Korea and Japan could cooperate. 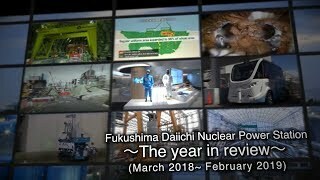 While the 2011 accident at the Fukushima Daiichi Nuclear Power Plant was extremely unfortunate, both the lessons learned and the know-how gained from it are being shared by Japan with South Korea, in the spirit of “an ounce of prevention is worth a pound of cure.” As the ramifications of any NPP accident, once it occurs, do not stop at the borders of the nation where it took place, that cooperation could potentially be expanded to include China and Taiwan as well. Although East Asia has witnessed some cooperation in the area of nuclear energy in the past, its extent can hardly be labeled as sufficient. 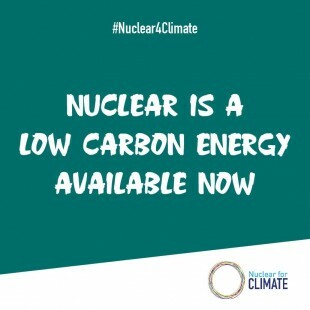 According to the Japanese-language Atomic Industrial Journal by JAIF, South Korea is now engaging in its first-ever decommissioning of an NPP: Kori-1 (PWR, 587MWe), that country’s oldest reactor. 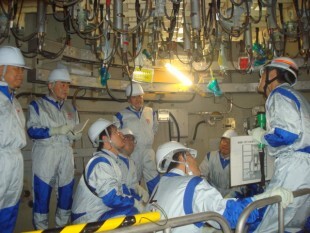 Last year, a party of related persons was dispatched from South Korea to Japan to learn about NPP decommissioning, and there is a plan for the same to happen again this year. For Japan as well, reactor decommissioning is bound to become an increasingly important issue in the future. Cooperation ought to be possible between the two countries in areas of mutual interest. Given the chilly diplomatic relations between South Korea and Japan, one hopes to see—precisely at this moment—the kind of strong-minded leadership that can go against the tide and seek out areas in which cooperation can be implemented, thus speeding up the narrowing of the distance separating the two countries.